But you don't look sick. You just need to keep a positive attitude. Have you tried not eating gluten? These are just a few of the 'helpful' suggestions from friends that countless people who have invisible (and visible) illnesses are recipients of. Have You Tried Yoga? is a performance piece created from verbatim interviews of people with disabilities, but also from performer and writer Rachel Edmonds' own experiences. With a minimal set design and simple direction, Edmonds relies on the power of their words to tell this story - and it works. The isolation that people with disabilities often deal with is plainly shown in the recollection of an able-bodied friend who could not cope with Edmonds' accessibility needs and was eventually cut out of her life. Edmonds is very clear and direct with what they choose to cover in this show. Despite the frustration and anger that this work is based on, they do not rush nor do they lecture or force an opinion onto the audience. Instead, they speak to us, inform us of what it is like to be in their position when you are carted from doctor to doctor who can't figure out what is wrong with you. 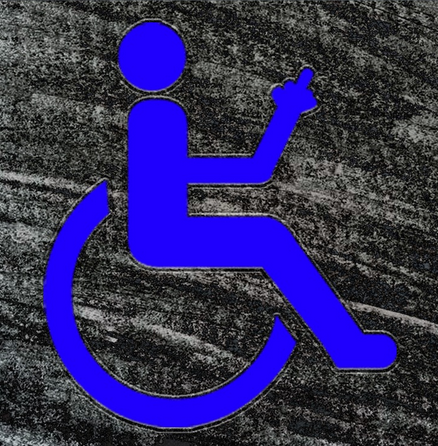 It's an opportunity for the audience to check themselves for subconscious discrimination and when their actions might have been patronising, insensitive or plain hurtful towards people with disabilities. Some moments are not as strong as others though, and these usually involve scenes with Edmonds' co-performer Martin Astifo. Astifo plays a number of characters where at times, their portrayal is met with an energy that doesn't fit with the show and feel a little jarring. However, his turns as a doctor going through the motions of tending to Edmonds and then as a husband struggling to support his partner produce more nuanced work from him. The scenes with the chalk drawing and toy trains also seem out of place and don't hold the same impact as when we are listening to Edmonds speak. Themes are nicely distinguished with a quick interlude where Edmonds changes t-shirts between 'chapters'. Each t-shirt has a slogan or catchphrase emblazoned on it - such as one that has the word smile all over it - that leads into the next theme. Have You Tried Yoga? is a reminder of the numerous ways in which people with disabilities struggle with in order to lead a rich life: from the unsympathetic doctors and carers who are supposed to help them, to the friends who gradually forget about them when they can't go out and do the things they used to do with them. It's a strong piece from Edmonds and with some re-work on the theatricality of the piece, it can only get stronger. Have You Tried Yoga? was performed as part of the Melbourne Fringe Festival between 14 - 30 September 2018.